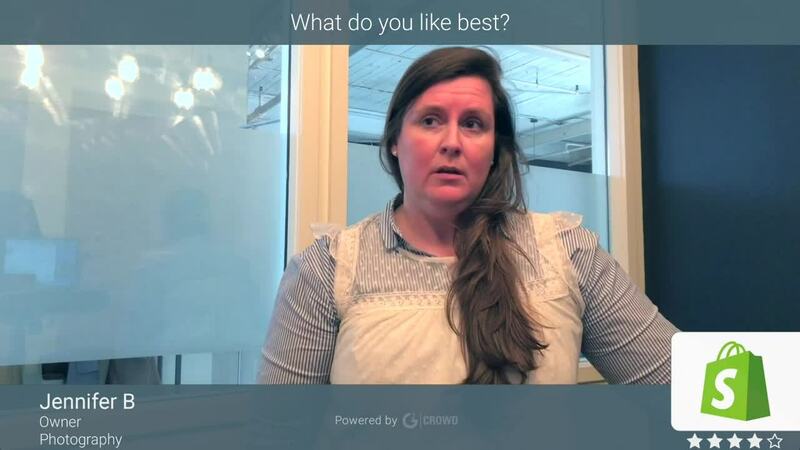 "Shopify is user friendly, even for a novice like me." Shopify has a very user friendly interface that is self explanatory in a step by step fashion. The menus are easy to navigate and in the instance you do need help their customer service is always friendly and very easy to reach. I wish they offered a few more features on the FaceBook Lite plan or at least a plan in between that one and the $29 plan. I also wish the apps like the Rewards apps would integrate with Facebook so that they could be used in Facebook groups where a LOT of sales are happening. A plan for around $14.99 a month would be great. Also, app integration with FB would be wonderful. Giving customers in a FB group a way to earn rewards would be most helpful. It's given me a new platform to reach my customers and makes invoicing a breeze. It saves me a LOT of time when customers can check out instantly instead of me having to manually invoice. "Best E-commerce store builder out there for dropshippers!" 1) Versatility: Shopify has a myriad of apps that can be integrated with your store in order to give your e-commerce business the boost it deserves. 2) 14-Day Trial: Now, the 14-day trial may be useless (As only customers with your store password can get into your site and order), however, these 14 days can be very useful in taking time to build your website to perfection. You wouldn't want to start paying for it right away and then start building your website. Good move, Shopify! 3) Themes: Shopify gives you a good variety of free themes (My favorite being Brooklyn). There are many other premium themes out there, however, if you are just starting out, Shopify's got you covered. 4) Not a Developer? That's perfectly fine! Shopify's 'drag and drop, edit-on-the-spot' website building practice makes it easy to build your website. 5) Domain Hosting: Shopify allows you to either transfer or connect your domain. If you transfer your domain, then you can deal directly with Shopify for your domain renewal payments, etc. 6) E-mail Forwarding: Shopify allows you to set up a lot of e-mail forwarding accounts. 7) Lite Version: The lowest priced model of Shopify is the Shopify Lite model which allows you to sell products directly from your facebook page, etc. This doesn't include a website or domain hosting, etc. 1) Transaction Fees: Shopify levis a 2.9% + 30c transaction fee on every sale you make. (I'm talking about the Starter plan that I've taken). Of course, if you take one of the premium plans, these transaction costs would decrease. And it's not that bad, I'm guessing. 2) Apps can be very expensive: I wanted to add an Ajax filter on my site, however, the app that allowed me to do that was 14 dollars a month. If you want to start your dropshipping business, Shopify is your answer. It has everything you need. I am using Shopify to build my online pet store. So far everything has turned out great! I am still in my trial phase, with about 7 days left of it. I am definitely going to go live after the trial period ends. I never thought that I (With absolutely ZERO knowledge of coding) could build a website that looks so beautiful. Shopify has been a life-changing platform for my company. I love how there are hundreds of affordable apps you can install to improve the user experience of your site. You don't even need a developer to make a nice looking, intuitive site. I also like how customizable it is, even in the most basic package. If I want to, I can go in and edit the code on any page I want. Likewise, I can make adjustments to titles and tagging to improve SEO. From my experience, there aren't many platforms that offer this level of flexibility at this price point. A lot of our customers are tax exempt, and while there is a way to mark them as so in the system, I can't find an easy way to automatically send them an invoice that reflects their tax exemption. This would be a very useful feature for us. I know that there is an app I can download, but it costs somewhere around $20 per month. I'm also sure I could develop my own custom solution, but I don't really have the time or skillset for that. I would recommend checking out the app selection. There are a ton of incredible apps that will improve the usability of your site. Best of all, most of them are either free or under $10 per month. We initially moved onto Shopify because we were having security issues with the last platform we used. Not only has it greatly increased the security of our site, it has also made it much more user friendly. Additionally, it has greatly improved our SEO, helping us drive more revenue from organic search traffic. Additionally, it has allowed us to set up simple email automation for following up with customers and sending them abandoned cart notifications. We've realized small things like this have made a huge difference in our total sales. It's also made it much easier for us to crate and promote discounts for our products. In basics, the Shopify is just easy and affordable. It makes it possible for anyone to build and maintain a successful e-commerce site. The easy-to-use tools when getting started is what originally drove me to try them out. I took a leap of faith and started my small business with everything that it had to offer. Between the easy domain registration for that personal touch, the ability to link other stores and to the great plethora of information and control it gives you through the mobile app, this was nothing short of a win for me. Been happy since last year. I guess my only problem with it is that the site editing could be a little more comprehensive and less restrictive. There are many things I'd like to have on my storefront but am having a hard time finding an easy way to do that given that the offered themes don't leave much in the way of any significant changes. The main benefit I've been reaping is the simplicity of it's use in e-commerce. I don't have much of a business background but was still able to painlessly get myself started and off the ground. Again, it's ease of use, administratively speaking, has been an absolute godsend for me. with the current implemented features, it is still kind of hard to counter bot users in all kinds of way, as they can just keep update the end points as shopify patch the old ones. The best way at the moment is to use paypal or manually filter out bot orders which is not easy at all, also the use of variant also give people chance to bypass the password page on shopify ,You have to create your storefront between the editor and dashboard, meaning you must flick between the two. it is easy to organize all the details of every single transaction, from item description to final shipping and tracking number or cancellation. "Shopify is great for starting an eCommerce business." I really enjoy using Shopify and actually switched over from Squarespace. I have my own eCommerce company and I like that the CRM for Shopify gives me a lot more options for tracking my sales, data, users, products, and clicks. I have Advanced Shopify so I have the ability to use abandoned cart features, collection of emails, see which products are the most viewed, and what products are most searched for. It also allows me to input certain SEO's which is tremendously helpful when people are searching for products my brand offers. 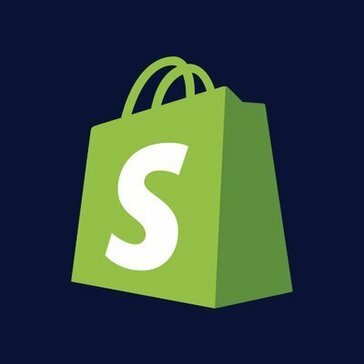 I would definitely recommend Shopify to others and in fact, have been recommending it to friends who are looking to start their eCommerce businesses as well. It is a great tool for starting an eCommerce website, or just a regular website with items to buy as well and can easily be integrate with other daily applications for a more user-friendly experience. Shopify helps businesses problems a lot for example letting businesses know which of their products are their top clicked ones and which ones aren't. They also track and compile a list of emails that people will use when signing up for your email subscriptions or when they check out, so you can have the master list for mail blasts. Shopify also is connected very easily with other online tools such as Instagram, so you can tag your Instagram photos with prices and links that will take you directly to your Shopify website. This allows people to shop your Instagram profile for example which is helpful for people that don't know your website, but know your Instagram (or found it through their explore page). "A Very useful shopping platform"
We can use sharp and professional website templates to register in a few minutes. The user interface is clear and easy to navigate. Menus and buttons are rough and clear, easy to manage. There are various business templates. We can customize it sufficiently, and it has a unique overall design. I like to keep the overall structure of the website perfect and easy to load into computers and mobile devices. Price and shopping are expensive. Other fees, such as monthly fees, as well as credit card fees, must be paid when you start or do not have many sales. I also found that the initial setup of the site is very difficult and takes time. All orders can be completed easily. We have the opportunity to track sales and increase our trends. Software helps marketing and payment. It also has a good step to safely inspect and transport products.